Location Perfect for Starkville, Columbus and West Point Events! 2 Bedroom / 2 Bath Cottage is located 7 minutes from the MSU campus! Conveniently close for all MSU Events but is nestled on 3 acres with woods enclosed around for the perfect getaway feel! Cottage is perfect for any Columbus Air Force Base or Mississippi University for Women events as well. 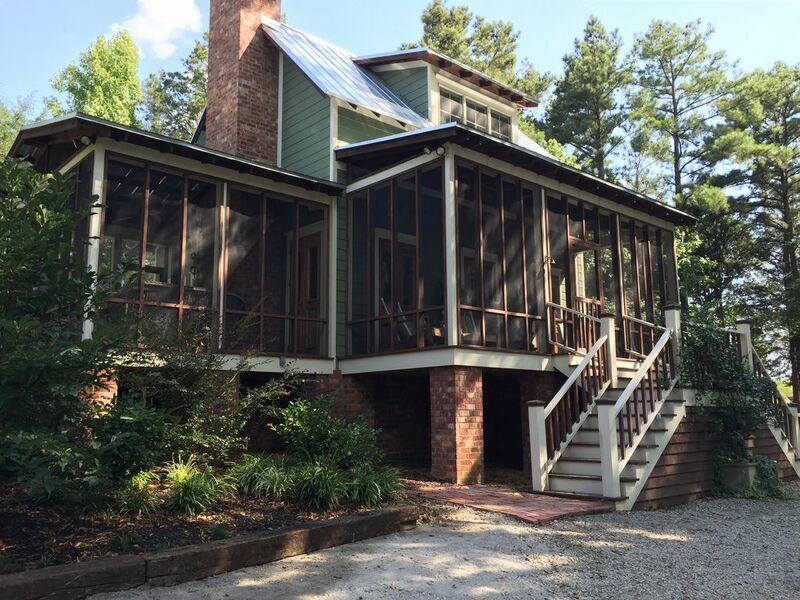 Cottage has 2 screened in porches and french doors open the inside to the outside! Cottage is completely furnished and everything you would need for a weekend getaway or longer stay if desired. 2 night minimum. Cottage is also available for Short and Long Term Rentals... Contact for additional details and to book for the 2017-2018 MSU Season, Available for Short & Long Term Rental as well. Originally from Columbus, MS...built our cottage on family land in 2012. We travel and live primarily in Florida but love coming home to Mississippi....built the cottage as a getaway home and look forward to sharing our lovely place with you! The house was so cute ,very clean and well kept.. enjoyed our stay and would definately love to stay again. Had a wonderful time. Quiet, peaceful country setting with a resort/spa spin! This ia our second time staying at this beautiful cottage. Will be back again next year. Thank you again for the wonderful hospitality! This cottage is absolutely adorable! The setting is beautiful, a long gravel driveway, the house nested in the trees, lush landscaping, and a horse pasture in the back (and it's convenient to MSU) The interior is just as impressive, it is so comfortable and beautifully decorated. There are so many little touches that make this house special. The beds were very comfortable, we all slept well and enjoyed our stay very much. Thank you Jessica! We thoroughly enjoyed our stay! It was very relaxing and quiet. The property is very well kept. We booked this cute little cottage for the week of Thanksgiving . The cottage has breath taking views and a very peaceful setting. Our family felt right at home. The owners family makes you feel like you feel like you are part of their family. We enjoyed the family hayride, the horses and the relaxing walk around the property. We enjoyed taking family photos on the Sessums Creek Bridge. If looking for some downtime, but a quick commute to MSU this is the perfect place. We look forward to booking the cottage again. We again enjoyed our stay at this amazing cottage. We can't wait to come back to relax and enjoy the quiet of the property. Thanks again to Jessica for making it such an amazing stay. Cottage is located centrally to all Mississippi State University Events as well as Columbus Air Force Base and the Mississippi University for Women "The W".